what is data visualisation and knowledge translation, and why is it important? what constitutes an effective infographic/data visualisation? how to conceptualise, design and produce creative, effective and visually stunning graphics and visualisations. 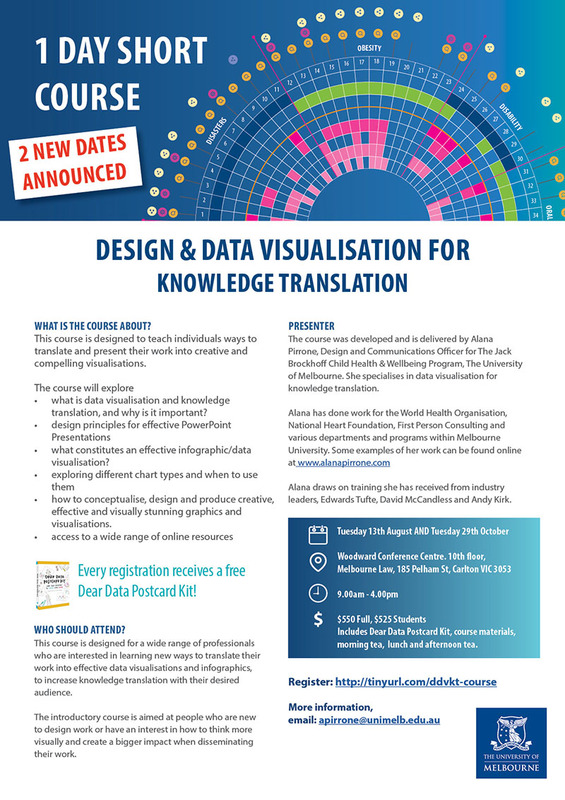 This course is designed for a wide range of professionals who are interested in learning new ways to translate their work into effective data visualisations and infographics, to increase knowledge translation with their desired audience. The introductory course is aimed at people who are new to design work or have an interest in how to think more visually and create a bigger impact when disseminating their work. Every registration receives a free Dear Data Postcard Kit! The course was developed and is delivered by Alana Pirrone, Design and Communications Officer for The Jack Brockhoff Child Health & Wellbeing Program, The University of Melbourne. She specialises in data visualisation for knowledge translation. 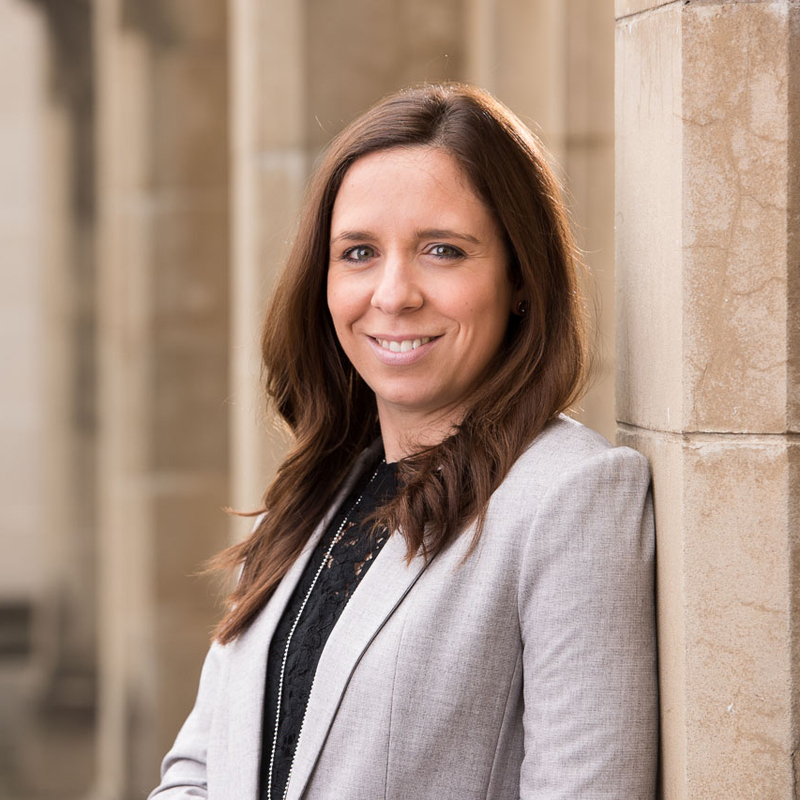 Alana has done work for the World Health Organisation, National Heart Foundation, First Person Consulting and various departments and programs within Melbourne University. Some examples of her work can be found online at www.alanapirrone.com Alana draws on training she has received from industry leaders, Edwards Tufte, David McCandless and Andy Kirk.